Some of the most incredible varieties of Koi happen to be the Butterfly Koi. Sometimes these fish are also called dragon carp. These fish are a lot like the traditional type of Koi fish. However, there is one big difference. Butterfly Koi actually have fins that are delicate, flowing, and very long. They almost look like feathers or like butterfly wings. Although the traditional Koi can be traced back to the middle of the 19th century in Asia, it wasn’t until the 1980s that the Butterfly Koi were actually bred. The original goal for these Butterfly Koi was to create a new and tougher type of Koi. This was the goal of Wyatt Lefever. Lefever started out with some very rare Indonesian carps that were long finned and he had the idea that he could create a fish that was hardier if he interbred them with a Koi that was metallic colored. While his goal was achieved by interbreeding, he also got the extras of beautiful colors and fins that were very long and feathery. It was Wyatt Lefever who gave the Butterfly Koi their name, doing so because they had fins that were flowing, long, and had a metallic look. It is the fins that are the defining aspect of the Butterfly Koi and their appearance. They come in various colors like traditional Koi. Some may be orange, yellow, white, or may come in various color combinations. It is definitely important to note that some traditional Koi keepers out there actually reject the idea of Butterfly Koi. They don’t consider these fish real Koi because they were a hybrid fish of the Indonesian long fin carp and the Koi fish. These breeders believe that the incredible fins on the fish is actually an eyesore. Some even think that these Butterfly Koi should not be kept or bred at all. Although not all breeders may be happy with calling these fish Koi, many people do enjoy keeping them and love the incredible and extraordinary fins that the Butterfly Koi boast. When it comes to the diet of the Butterfly Koi, you’ll find that they usually eat in the same way that other domesticated Koi do. They enjoy eating roots and plants that are under the water. Often when they are kept by owners, they are given dry fish pellets to eat. 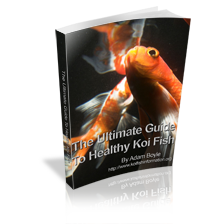 The pellets include a variety of important nutrients that Koi fish happen to need. 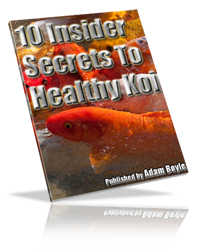 If you keep Butterfly Koi along with other types of Koi, you won’t need to worry about having to fee them a totally different diet. One of the reasons that these Butterfly Koi are so popular in various regions is because they can live in various water temperatures. This makes them hardy enough to survive in many areas, including colder areas. Wyatt Lefever did achieve his goal of breeding fish that were hardier as well. These fish are not as likely to deal with stress as some of the traditional Koi fish happen to be. This means that it is easier to keep Butterfly Koi without worrying about them dealing with stress and getting sick. The Butterfly Koi are definitely very unique. They have a unique look and they also are unique in other areas from the other types of Koi available. If you want to bring a variety of colors and looks to your own Koi pond, you may want to add some Butterfly Koi to your pond. They are sure to add even more beauty and they are easy to care for as well, which makes them a great option.